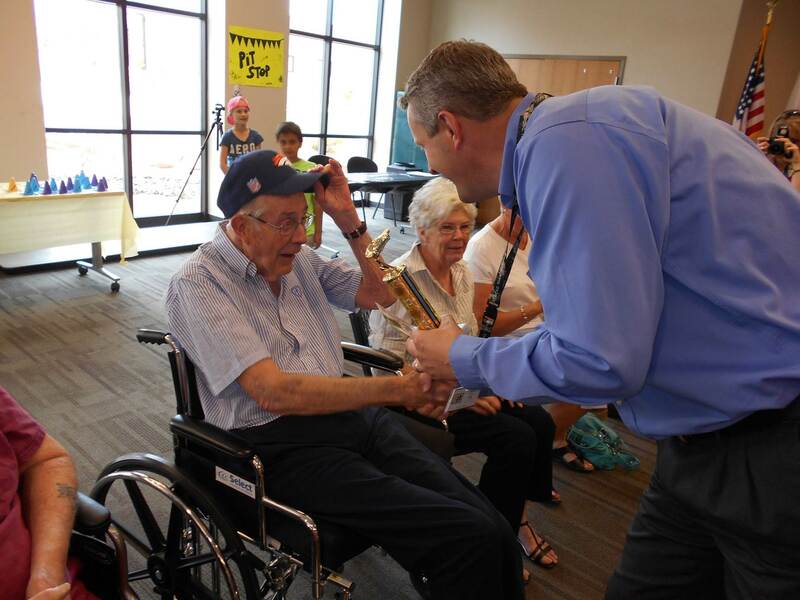 ST. GEORGE — The Pinewood Derby is bringing fond memories, friends, family and fun together at the Southern Utah Veterans Home, 160 No. 200 East in Ivins, Saturday at 2 p.m. The veterans home is partnering with Cars By Kent sponsor Kent Cook and Boy Scouts of America Troop 509 for this free community event that engages Veterans Home residents and staff with other participants. 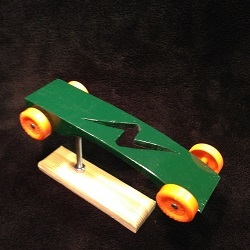 Last year the derby event was a great success as Kent Cook took interest right away and was able to procure the derby cars for sanding, painting, decorating and assembling the axles and wheels. The event took on a life of its own as Boy Scout Troop 509 volunteered to assist residents with their cars. As race day approached, several organizations and community members of all ages were signed on to help and cheer along their favorite cars. In total, 64 cars were made that day; 40 by residents and 24 by staff. But that was just the beginning. Once designed and assembled, the Scout pit crew helped bring the races to life. Though each participant receives awards recognizing their work, the true reward was the warm reception from the community as they interacted with the home’s residents and staff. What’s different about our facility is the team atmosphere. We all genuinely love what we do, and the patients we serve. Everyone onsite is looking forward to this year’s event. A community based event, focusing on our dynamic resident heroes is a wonderful opportunity for our team to highlight the dedication and sacrifices of our veterans. And, it’s just a lot of fun as well! Speed is the name of the game in derby races, Cook, a 30 year derby car expert, said. Though we may not see cars at the event going 200 mph, Cook will be on hand to offer tips as the teams prepare for the big race. Awards and prizes are given to both residents and staff for first place, second place and third place race finishers. Additional recognition will include the residents’ choice award, people’s choice award and mayor’s choice award. Spectators and volunteers are encouraged. Currently there is no registration for additional derby cars. Light refreshments will be served. When: Saturday, April 18, 2 p.m.